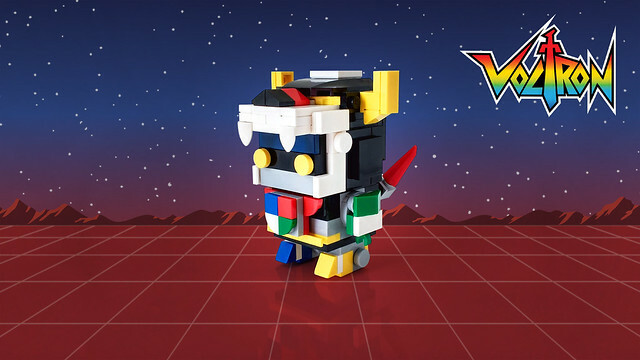 This adorable Defender of the Universe is just what I needed to satisfy my Voltron lust for this week. It’s going to be a hard, slow crawl to July 23rd at this rate, so thanks to curtydc for the shot in the arm to keep me going! The amount of detail they’ve packed into this little guy without any printed parts is quite impressive and there are a lot of fun little bits that really help it achieve the desired visage. I think it would look fantastic in a case right next to the official Ideas version and I may have to build my own when time comes. Also, curtydc has certainly been on a bit of a Brickheadz building kick lately, so check out their photostream to see more.